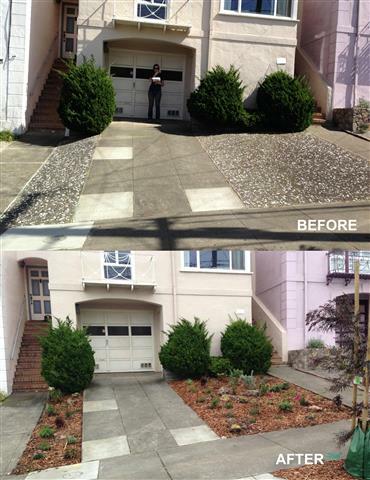 The Front Yard Ambassadors Program breaks up concrete and replaces it with native and drought-tolerant plants throughout the Sunset District. To learn more about how planting the right species will attract bees and other pollinators, visit the SF Environment’s Protect our Local Pollinators web page. To find out more about what types of plants are recommended for your San Francisco microclimate, visit the SF Plant Finder website. 2. Download a Sample Letter for Outreach to Neighbors (in English and Chinese) here. Paved yards cover 7% of the Sunset District (160 of 2,300 acres). 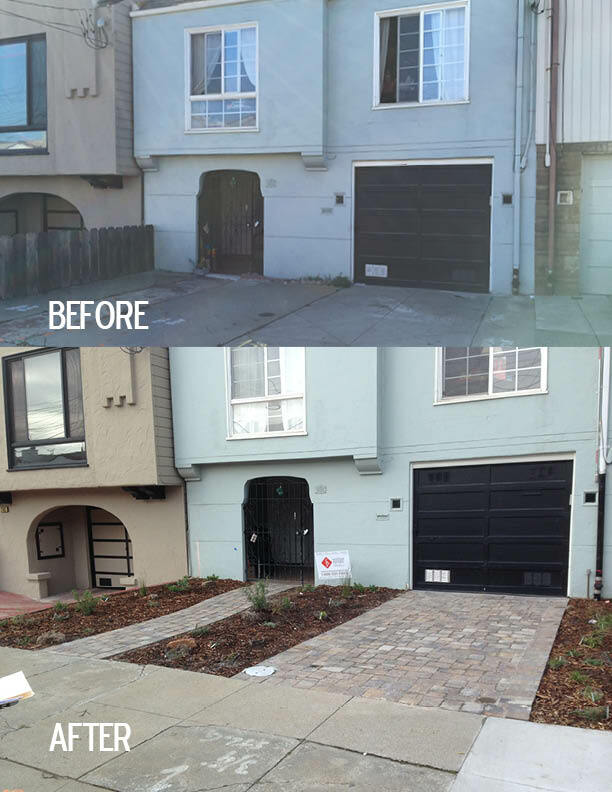 If Sunset residents transformed 25% of those yards to permeable landscape, we would keep 20 million gallons of stormwater out of our combined sewer system each year preventing discharge into the ocean..
Total Round 1, 2, 3, 4, 5, 6, 7, 8, 9, 10 & 11 = 12,660 square feet! Amount of storm water diverted from our combined sewer system = 151,920 gallons/year. Each square foot of concrete removed is equivalent 12 gallons of storm water diverted annually. Please click on the map to see before and after photos of participating households and facts about each participating block.